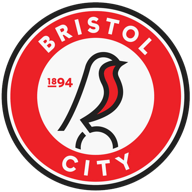 Highlights of Bristol City's 2-1 win over Wigan in the Sky Bet Championship. Substitute Bobby Reid struck a last-minute winner as Bristol City came from behind to beat newly-promoted Wigan Athletic 2-1 in an exciting Sky Bet Championship clash at Ashton Gate. Alex Gilbey fired the visitors in front after 32 minutes with a measured side-footed finish after Yanic Wildschut had got behind City's back line and crossed from the left. But the home side dominated the second half and equalised in the 81st minute when Chelsea loanee Tammy Abraham, making his debut as a substitute, got the final touch after Hordur Magnusson had headed a Gary O'Neil corner towards goal. Reid's winner came when he deliberately deflected O'Neil's low shot from outside the box beyond the reach of Wigan goalkeeper Adam Bogdan. Jonathan Kodjia hit a post for City in injury time after one of several dangerous runs and Lee Johnson's men emerged worthy winners. They began the game brightly and last season's 20-goal top scorer Kodjia shot wide after four minutes after robbing a defender. 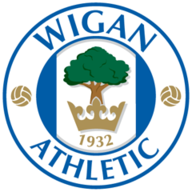 But Wigan were soon posing problems to the home side's new centre-back partnership of Aden Flint and summer recruit Magnusson as Wildschut shot wide from a narrow angle. Callum O'Dowda was looking dangerous on his City debut and the winger shot narrowly wide after six minutes from Luke Ayling's lay-off. Craig Morgan out-jumped Magnusson to head a corner towards goal, but the effort lacked the power to trouble keeper Richard O'Donnell, facing his old club. Gilbey fired inches over the angle of post and crossbar and Will Grigg had an effort deflected wide by Flint as Wigan grew in stature before taking the lead. At the other end Kodjia was too often isolated and City struggled to get Lee Tomlin, playing wide on the left, into the game. There was a scare for Wigan when an O'Neil corner deflected off Kodjia and just past Bogdan's left-hand post. The hosts began the second half positively with Kodjia having a shot deflected wide and Ayling firing past a post from 25 yards. City went closer on the hour when Tomlin's cross-field pass was brilliantly controlled by Joe Bryan, who cut inside only to see his right-footed shot pushed around a post by Bogdan. Johnson changed things after 65 minutes, sending on Abraham to partner Kodjia and Reid for Marlon Pack in midfield. Wigan were content to defend their lead and paid the penalty for allowing City to dominate possession in the second half.